Just under two hours away from Portland, OR, you’ll find Fort Stevens State Park, a mostly natural area with a long military history of defending the region and providing a place to recreate. From the Civil War to World War II this unique coastal stretch was one of three major military defense installations along the Columbia River. Today, visitors love the plethora of activities to be found here like swimming, hiking, camping and visiting the beach. Visit the beach at low tide and you’ll also find the eery skeleton of an old ship, leaning into the sand. 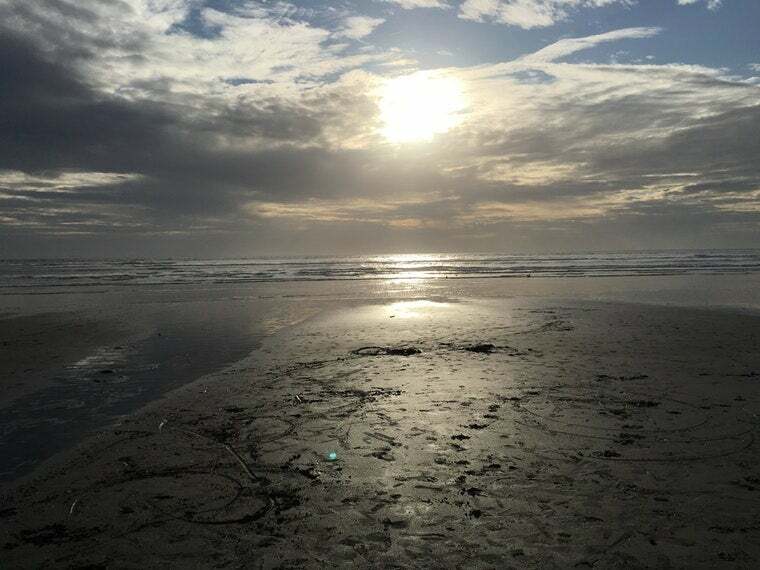 Photo by The Dyrt camper Stephanie L.
The Dyrt campers have shared some great tips on what to expect when camping at Fort Stevens State Park, so keep reading for some helpful advice from people who have already been there. 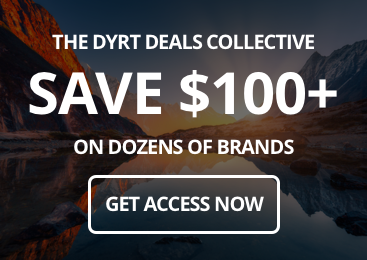 Image from The Dyrt camper Scott B. 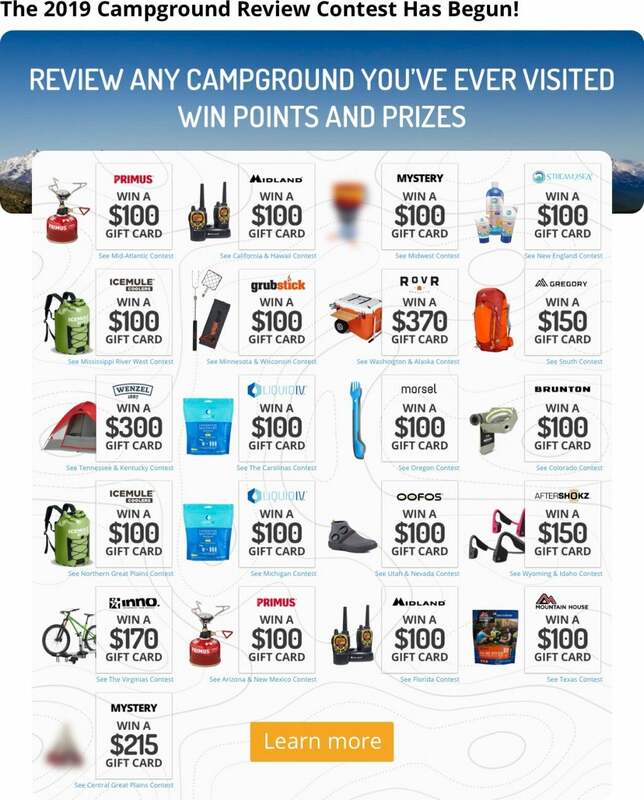 If your family likes a campground that offers a lot of opportunities to explore, then you’ll love this one. 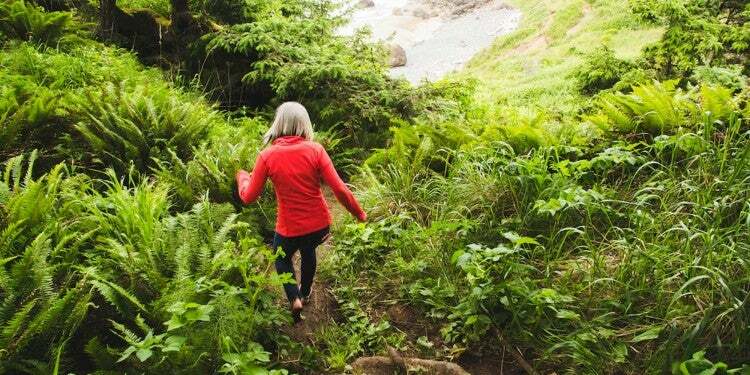 There are six miles of hiking trails as well as nine miles of paved cycling trails. You can visit the underground WWII command center that was one a gun battery and even take a ride on a military transport vehicle. Head to the nearby ocean on foot or bike to fly kites at the beach, make sandcastles, have a picnic or go for a dip to cool off. 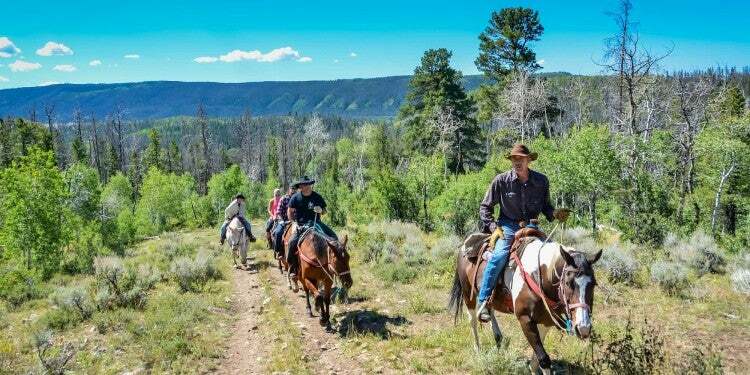 “The amount of activities to do within a 10 miles radius of the campsite is amazing! 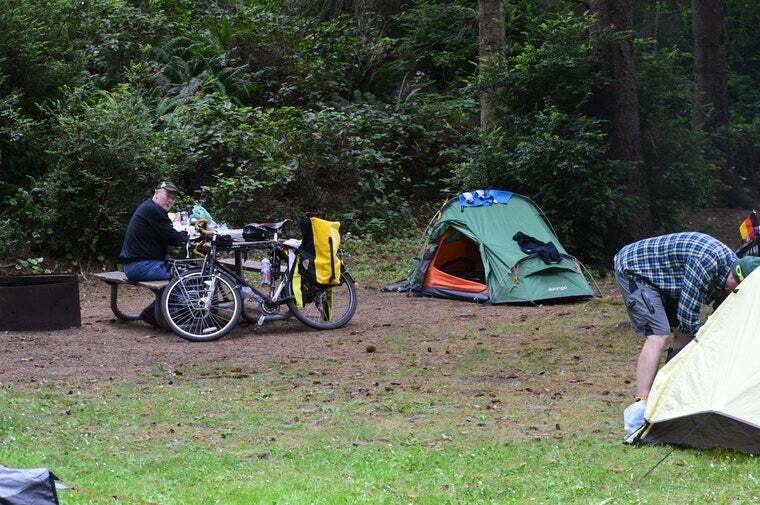 You have hiking trails, bike trails, the beach, and for those wanting to drive a little, you have Astoria and Seaside all within about a 15-minute drive.” — The Dyrt camper Ernie C.
Camping with a disability can present a variety of challenges. But if someone in your group needs wheelchair or mobility aid access they’ll feel right at home throughout much of Fort Stevens State Park. There are four tent sites, eight cabins and 10 yurts that are handicap accessible. The park also offers many facilities that meet Americans with Disabilities Act (ADA) Standards like bathrooms, showers, picnic spots, exhibit information, wildlife viewing, and fishing. Many Dyrt campers noted that the park features open campsites that don’t offer much privacy from your neighbors. 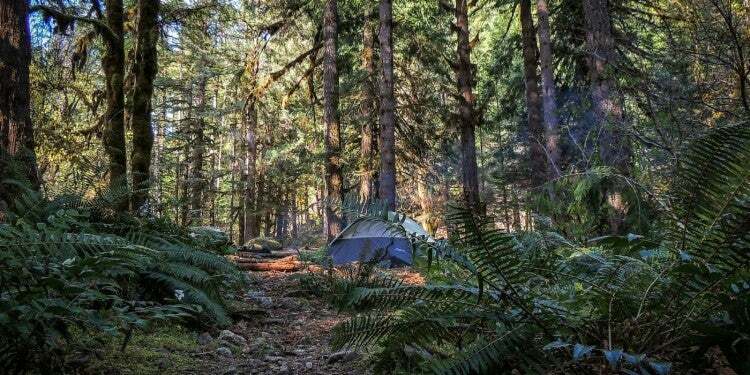 If you want to make things a little more enclosed, consider bringing a screen tent to hang out in or spend your time hiking and only go to the campsite to eat and snooze in the comfort of your tent. Those looking for a romantic excursion should consider staying in a cabin or a yurt where they’ll appreciate real walls and a roof. Whether you spent the day at the beach and want to minimize the sand in your tent or you’d just like to cool off after a hot day, you’ll appreciate the campground showers. The bathrooms at Fort Stevens State Park are known for being clean and are perfectly located for easy access no matter the location of your cabin, yurt or campsite. “Our sites were right near the centrally-located showers (but not too near), which were hot, and free! Always a fabulous feeling after almost 2 weeks on the road with limited shower options.” — The Dyrt camper Jen G.
Fort Stevens State Park is a very popular destination for camping. 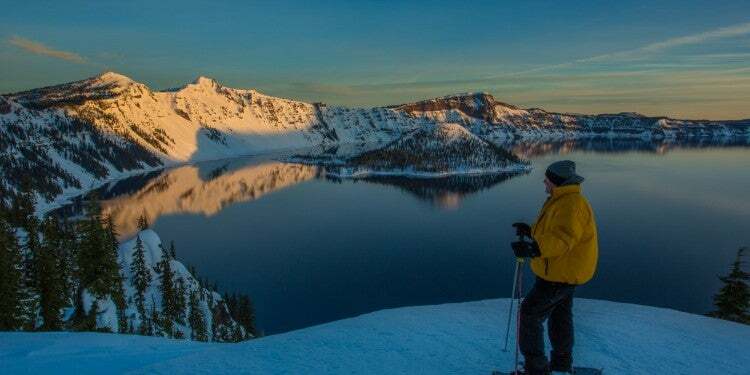 If you want a more low-key experience, consider going during the winter. Rough it in a tent with well-insulated sleeping bags or spend a few nights in a yurt or a cabin. There are even pet-friendly options if you plan on bringing your four-legged family members. “The deluxe cabins are the place to be in the middle of a windstorm, with four heaters to keep you warm, and a large dry front porch to take your boots off on.” — The Dyrt camper Nancy H.
With over 4,300 acres to explore, it helps to have some kind of mobility around Fort Stevens State Park. And why drive when you can enjoy the salty fresh air on a bike? You’ll have easier access to the beach and local trails if you bring your own two wheels. Explore the fort by bike and add panniers full of snacks and water so you can enjoy a meal on-the-go before heading back to your campsite for the night. Bike rentals are available on-sight for adults, but be sure to bring bicycles for little ones if they’ll want to join in on the fun. Unpredictable weather along with the unique physicality of the coast along this stretch of Pacific Ocean make it a dangerous place for ships. This stretch of coastline is actually called, “The Graveyard of the Pacific,” and you can visit one of the ocean’s victims at low tide. The Peter Iredale ran ashore in 1906, and was too difficult to remove. So it has slowly sunk into the sand and deteriorated with the salty air for over a decade. 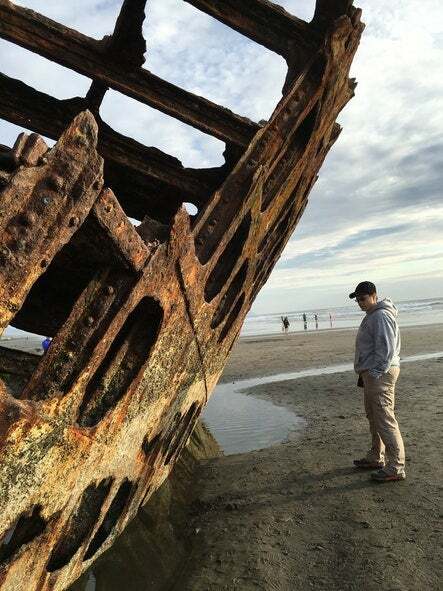 “Playing on the beach with kites and the shipwreck of Peter Iredale… We had the best vacation ever.” The Dyrt camper Becky R.
If you’re on the hunt for the perfect camping getaway in Oregon, keep Fort Stevens State Park in mind. 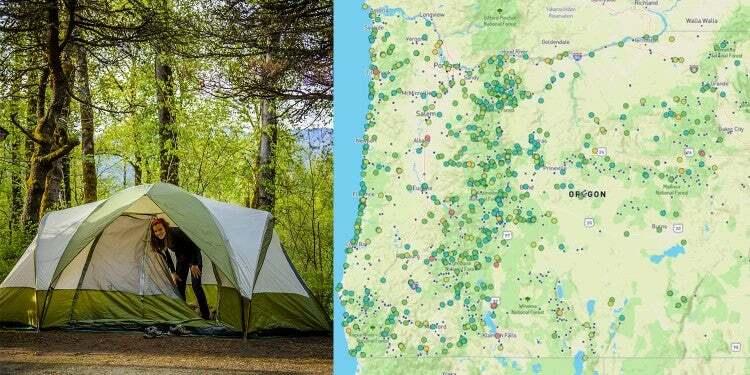 Learn about important park alerts like ongoing maintenance or fire danger issues and make campsite reservations ahead of time here.